Perfect for those who want to know that little bit more about Bergerac wines our weekends, based in South West France, run October through March. During a wine weekend we spend one day focused in the North of Bergerac and one day in the South and on average each tasting will include 5 wines - we aim to visit 3 vineyards a day so during your wine weekend you will sample 30 Bergerac wines. We have carefully selected vineyards based on our own experience of tasting and visiting them. 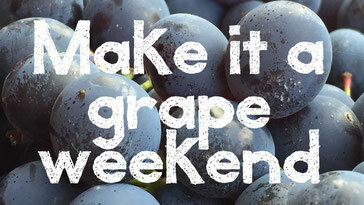 All vineyards are small family run and offer great value wines. Max has more than 25 years experience in Relais & Châteaux and Michelin-starred restaurants across Europe and the Far-East. Thanks to his travelling he is multi-lingual in 5 languages (Italian, English, French, German and Spanish - plus a little Japanese!) and has a passion for food and wine. "I've always been surrounded by wine - I grew up on a vineyard in Piedmont, North-West Italy and now live in the heart of the Dordogne surrounded by Bergerac wines. I've had the opportunity to taste and visit some of the best, and also lesser known vineyards of these regions. 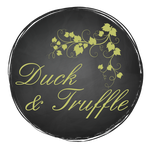 In 2016, I changed my profession giving me more time to share my wine passion through Duck & Truffle".